Contentment is a buried treasure, often seemingly just beyond our grasp. "If I could just have...look like...earn more...then I&apos;d be happy." We often try on our own to fill the void with things or relationships, but we never seem to be satisfied. The 17th-century Catholic physicist Blaise Pascal spoke of a "God-shaped vacuum in the heart of every man" which can&apos;t be filled by more things - but "only by God." Discovering Christ is a program where you can uncover the treasure of a personal relationship with God and find out how He can make a difference in your life. In January 2015, St. Benedict embarked on a spiritual journey that brought all of our participants closer to Christ than we ever thought possible. 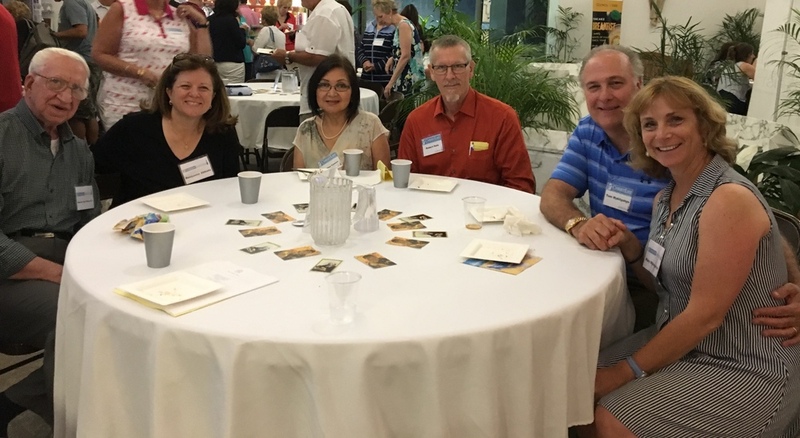 As the "first fruit" that came to St. Benedict from our involvement in Parish Catalyst, who named our parish in the top 100 parishes in the United States, we are thrilled to begin our third year and introduce ChristLife to our next group of participants. Thank you for your interest in ChristLife! Please see registration below. If you&apos;d like to register for our next session (dates TBA), please fill out the form below or download a registration form here. Preferred Group Please enter valid data. If yes, please provide names and ages of children in the box below.